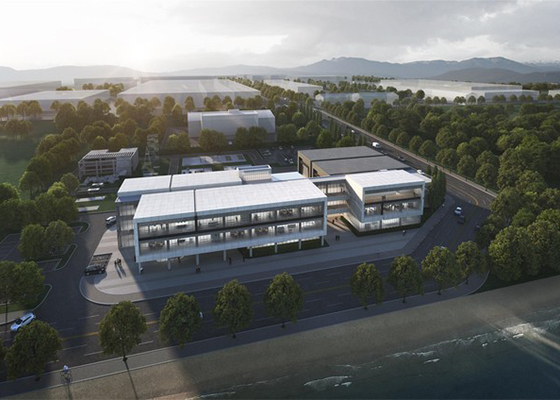 A verification test center to evaluate the reliability and performance of robots for disaster rescue missions will be built in Pohang, a South Korean port city. Gyeongbuk Province and Pohang City said they held a ceremony on Wednesday to break ground for Safety Robot Verification Test Center at a Youngil Bay industrial complex. The construction plan is part of a 67.1 billion won ($60.3 million) state project to develop public safety robots by 2022. The construction is sponsored by the Ministry of Trade, Industry and Energy and led by the Korea Institute of Robot and Convergence (KIRO). The verification test center will be built on 19,800 square meters inside the industrial complex. A total of 18 billion won will be invested to build the center by 2019. The provincial government plans to use the test center to come up with industry standards for safety robots, build a test site in conformity with international standards, and develop testing methods on rescue mission robots. The public safety robot project was designed to develop robots that can support relief efforts such as human search in low-visibility conditions and firefighting.